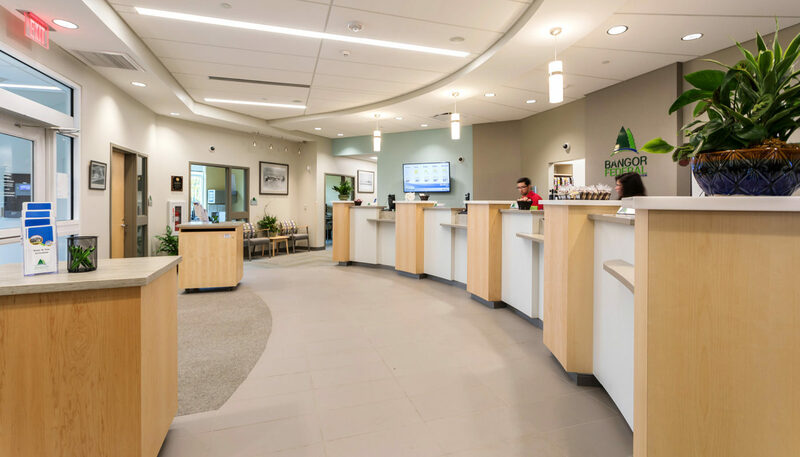 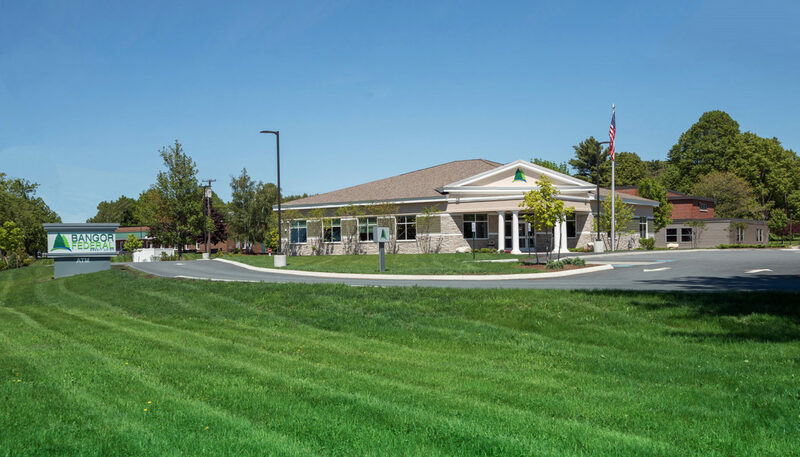 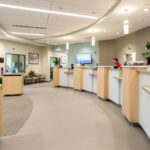 Bangor Federal Credit Union, chartered in 1956, celebrated its 60th anniversary with the opening of its third full-service branch in Maine, designed by WBRC Architects Engineers. 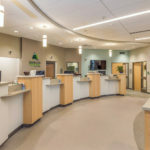 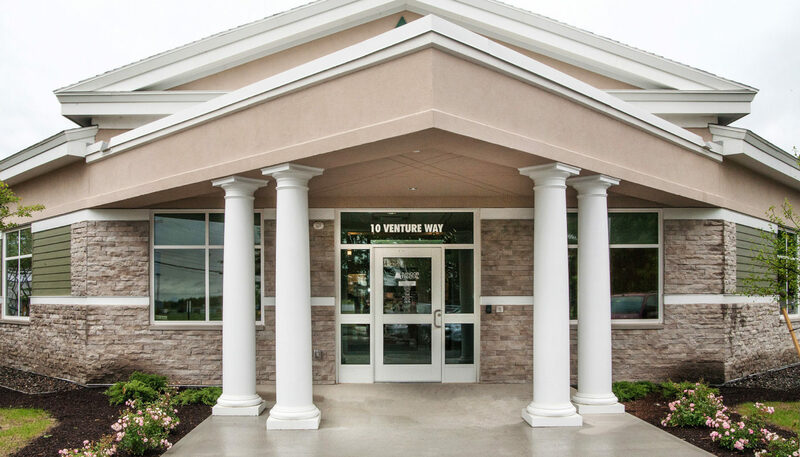 The branch, located on 10 Venture Way in Bangor, mixes a traditional teller line with a variety of places to conduct transactions, from private offices to a technology bar with tablets. 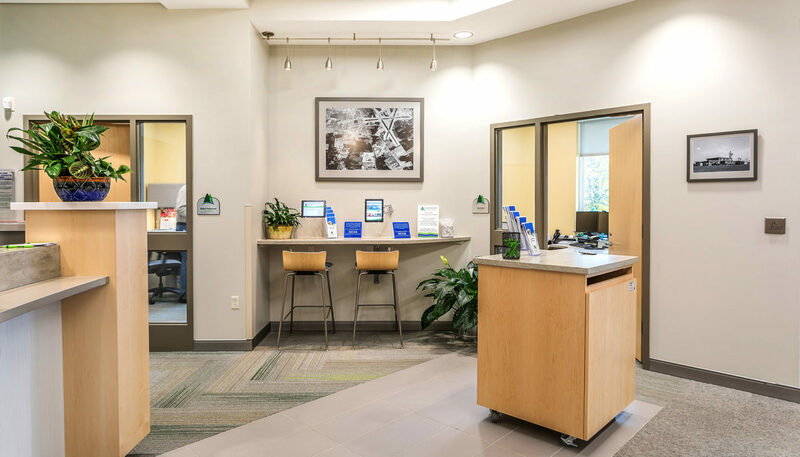 The use of VAT (Video Assisted Terminals) at the teller stations eliminated the need for drive up windows, allowing employees to stay face-to-face with their customers. 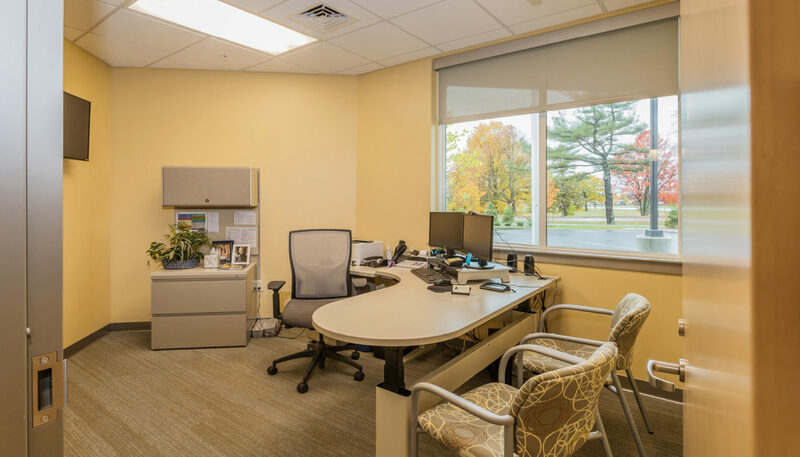 This VAT technology freed the design team to use all 4,685 SF of the branch to its best advantage rather than be restricted by the positioning of a drive-up window. 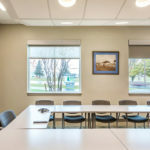 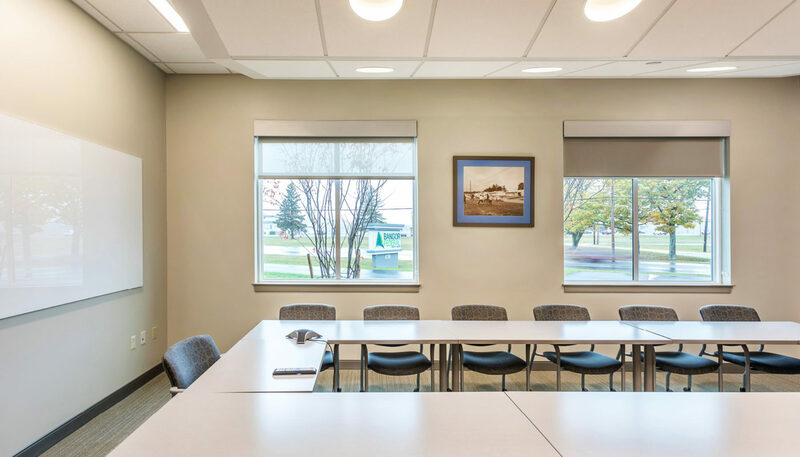 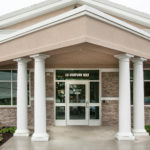 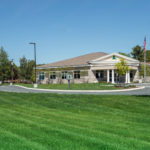 Photos throughout the interior reflect the property’s aviation-related history: The credit union is sited on land that was formerly part of Dow Air Force Base and is adjacent to Bangor International Airport (BGR). 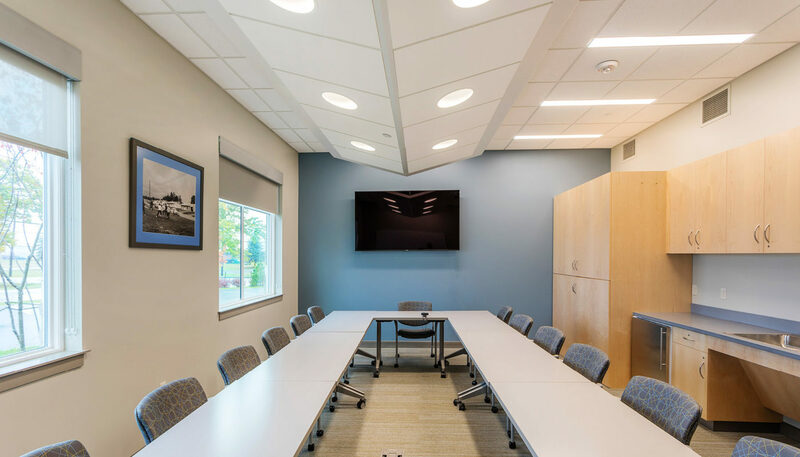 The site design optimizes visibility from Maine Avenue while also preserving old tree growth. 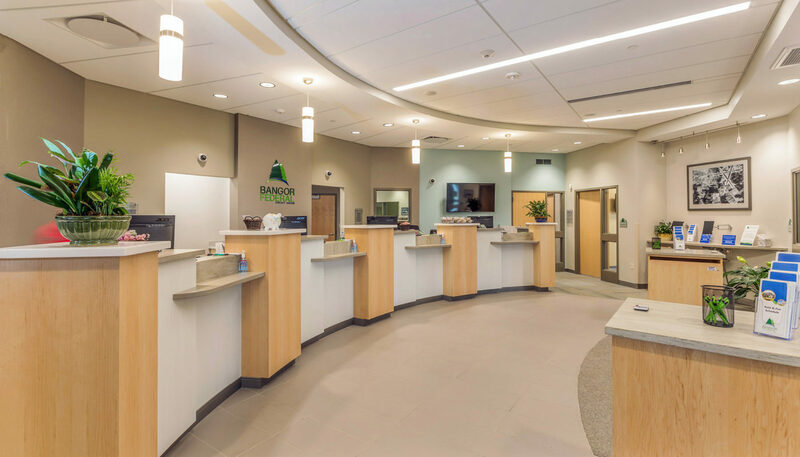 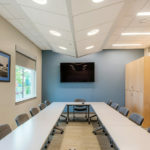 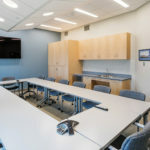 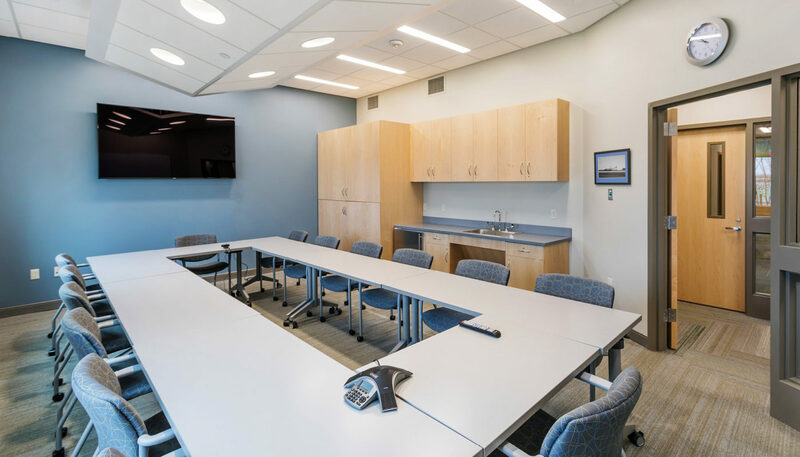 The bright, energy-efficient new facility includes space for Bangor Federal’s accounting department, as well as personnel in lending, operations, and member services.